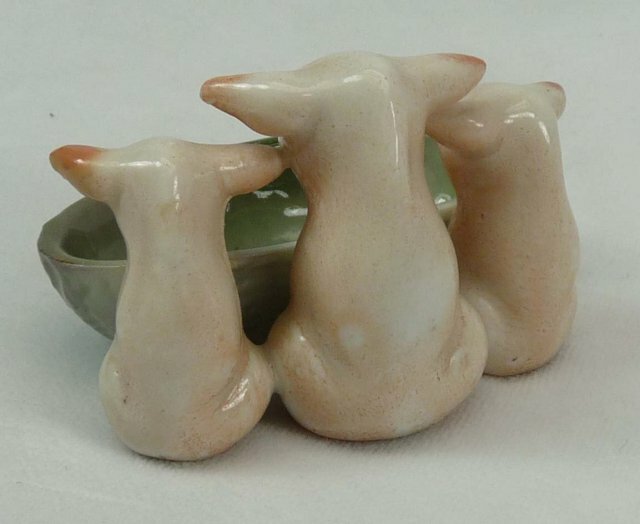 An antique turn-of-the-century German-made porcelain pink pig figurine / fairing, made as souvenir pieces for sale in the U.S. Dates from 1890's to 1920's. 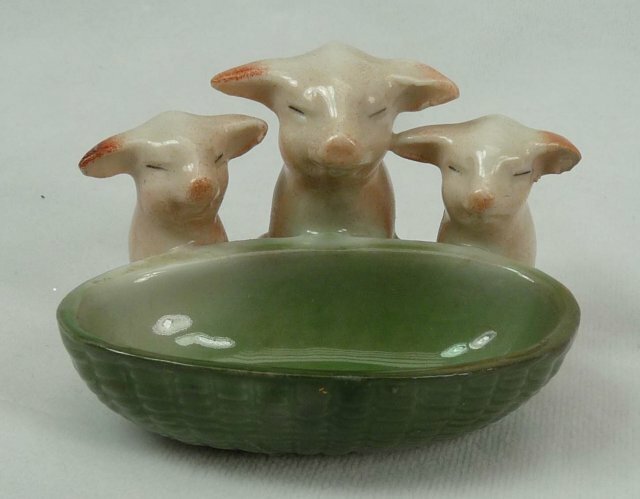 This whimsical piece features 3 pink pigs (Mother pig in the center and a baby pig at each side) with a green basket. 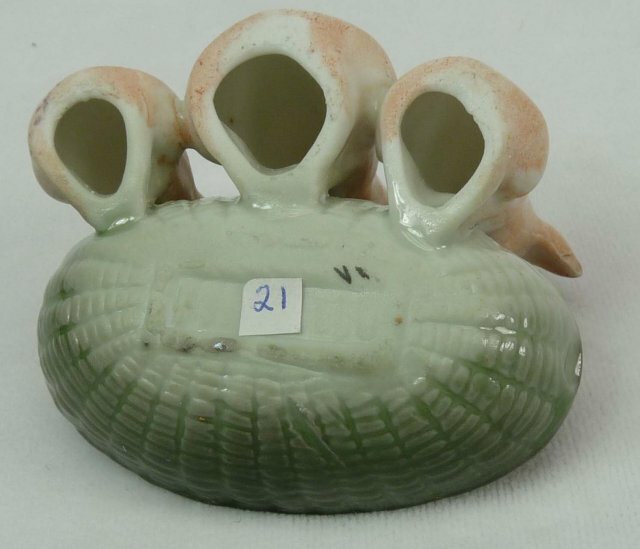 Measures approximately 1 3/4" tall and 2 5/8" across. 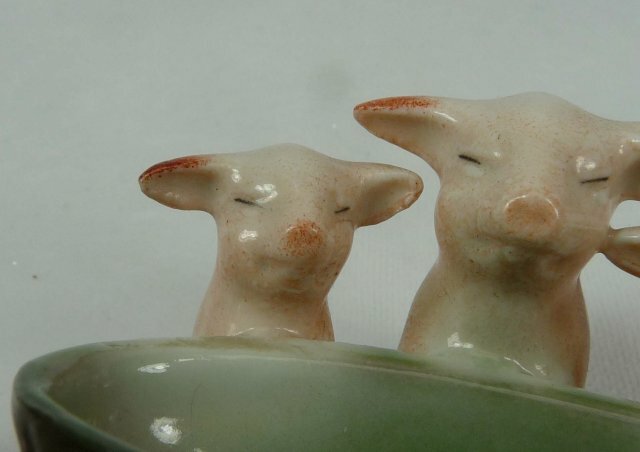 The small pig on the right has a repair on the ear and the small pig on the left has a tiny chip on the back of the ear; appears to be touched up with color. A nice collectible German pig figurine. 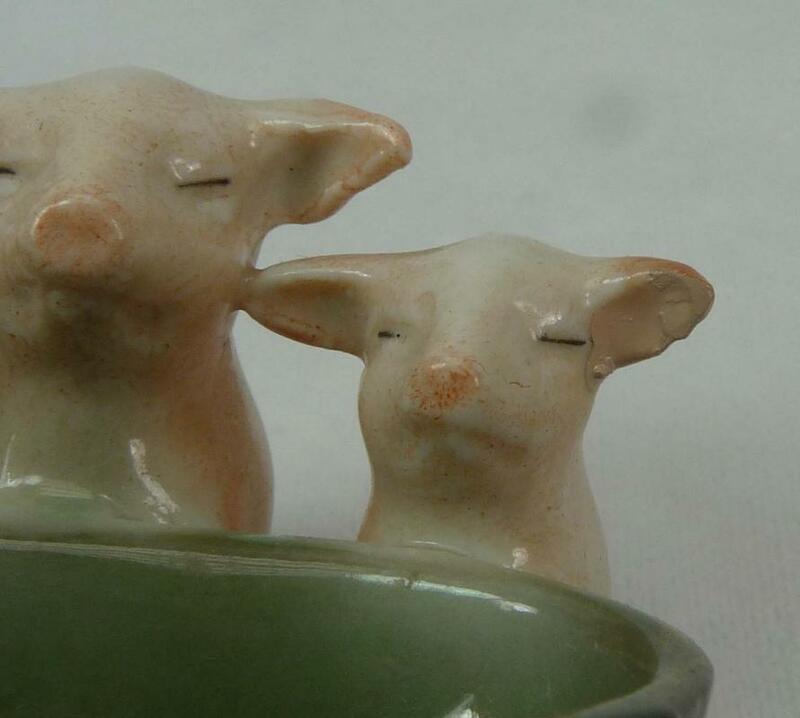 Items Similar To "Old German Porcelain 3 PINK PIGS w/ Green Basket"